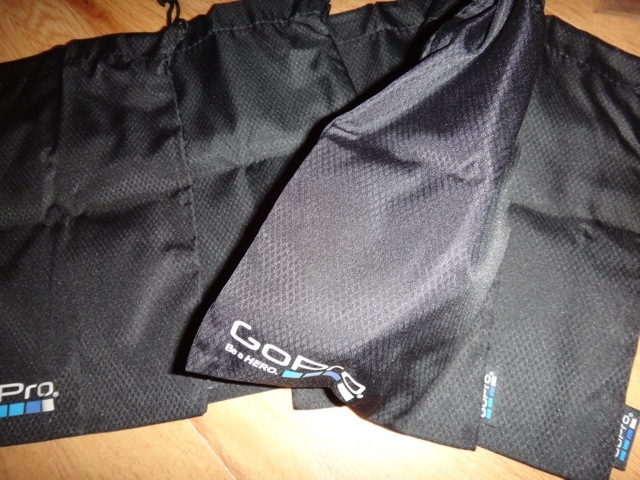 The pack consists of five drawstring bags. They are very well made but are not anything special. 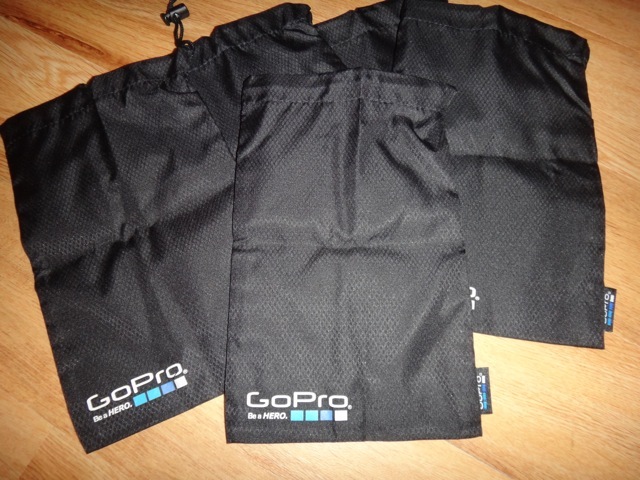 I think they will provide great storage for mounts etc but no better than a sil-nylon stuff sack. 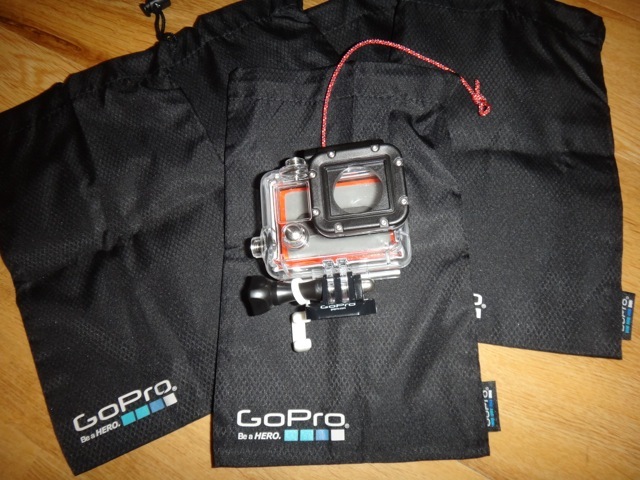 The bags will fit a GoPro with a floaty back door. So could be a way of helping to protect the camera in your bag. Over the last few months the bags have resided in my study and haven’t seen the light of day. This probably sums up how essential they are although they are a good idea. Since buying the Door & Cap pack I know that the lens on my GP will be protected even if it’s in my main kit bag. When I have used a bag for storage I’ve always chosen a brightly coloured silnylon stuff sack.